Member participation is free-- however there is a cost for tickets- last year the discount was significant. You need a ticket for EACH person and EACH day you plan to attend. Discounted Airshow tickets are limited to members and their immediate family participants ONLY. Please enter this total as the number of guests- E.G. two days, two people = 4 total guests (Everyone are guests of the Airshow). Ticket costs will be announced when available-- we need a count first. 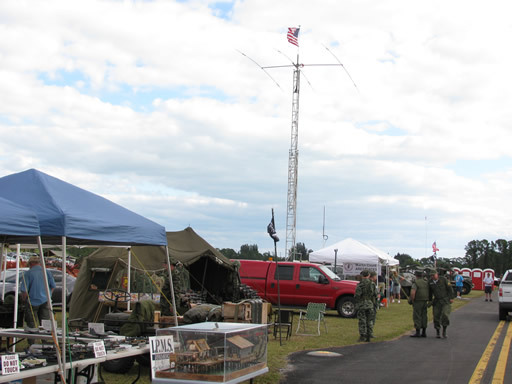 Martin County Amateur Radio Emergency Service and Martin county Amateur Radio Association have a joint event to operate a special Event Station at the Stuart Airshow. This year we are to be operating as K4ZK to celebrate the official 40th Anniversary of our Club. Event registration on our site is only for club members and immediate family who are participating in the event-- operating the station or providing support services. Registration for the event ends October 14th-- if you do not register before this time, you will still be able to participate-- but you must purchase your tickets at the regular gate rate. Set up is Oct 30th at 9:00am. Got questions or want the latest details? 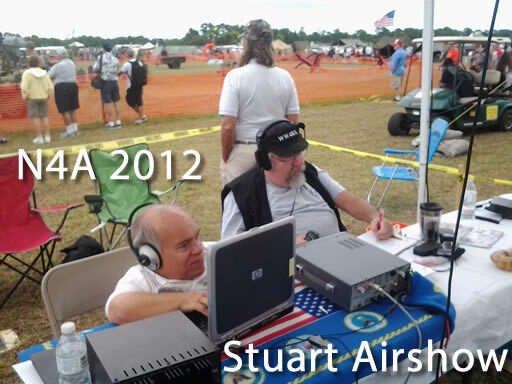 Check our Members only forum topic for the Stuart Airshow here-- remember you must log in with your club email and website password to see the "Members Only" areas of the website and the forums. Once you log in to the site, you should see the "members" tab in the site navigation. 73 and hope to see you at the Airshow!